Finding the balance between employer policies and the use of permitted medical marijuana is the topic of an October 18 workshop geared for human resource professionals, attorneys, union representatives, and others who have questions about incorporating the relatively new law into the workplace. 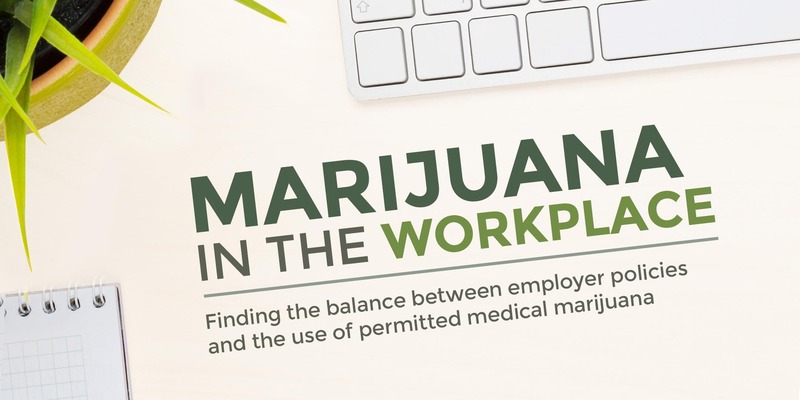 The 9 a.m. to 12 p.m. workshop, Marijuana in the Workplace – What Every Employer Should Know, is being sponsored by the Connecticut Employment and Training Commission and the Department of Labor’s Office of Workforce Competiveness. It will be held at the Labor Department’s Wethersfield office located at 200 Folly Brook Blvd. Check-in and breakfast begins at 8:30 am. Stephen Lattanzio, an attorney with the Labor Department’s Office of Program Policy, Matthew Lundquist, MD, MPH, Middlesex Hospital Medical Director, and Ronald Ing, Director of Human Resources and Information Technology for the Town of Stratford will discuss the workplace issues and dilemmas that may be encountered in striking the right balance between employer policies and the use of medical marijuana as permitted by Connecticut law. – Impact of this law on existing employer policies. – Integrating the law with current state and federal drug testing programs. – What employers can do to reduce any risks or additional exposure associated with the new law.